It’s an unseasonably warm fall afternoon and chata.ai CEO Kelly Cherniwchan is dressed in only a Star Wars t-shirt and jeans as he sinks into a deep leather chair in the meeting room at the top of The Edison in downtown Calgary. It’s a small detail, but one that someone with Cherniwchan’s sensibilities for worth would immediately notice. With well-honed instincts to realize value and maximize benefit, an unclaimed, neglected, valuable antique is an affront to both. 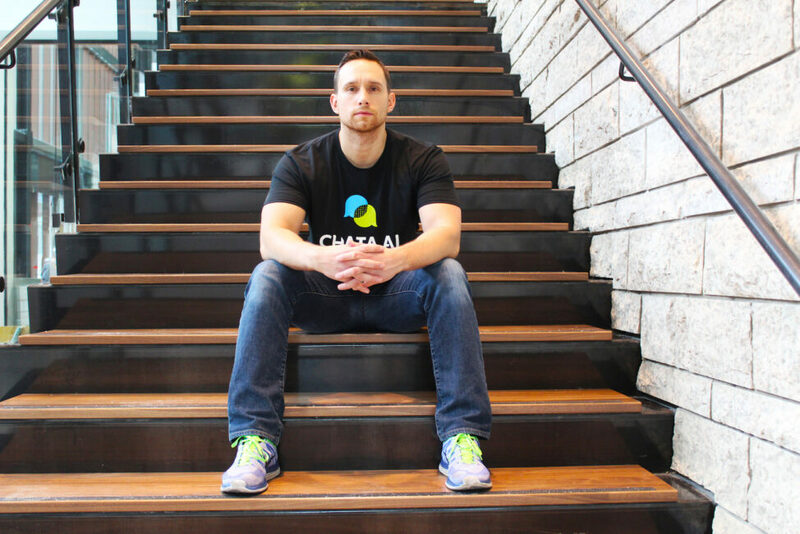 His latest venture, chata.ai, is an extension of this interest in generating value. 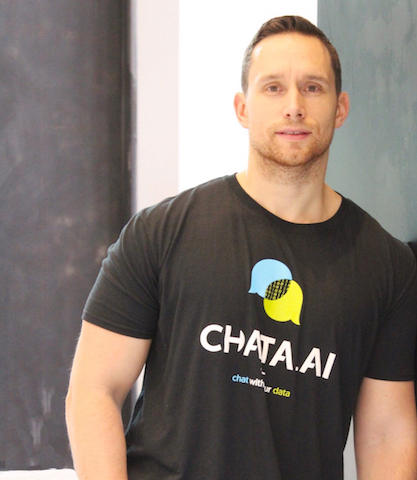 Through artificial intelligence focused in natural language processing – Cherniwchan and his development team at chata.ai are narrowing in on the untapped value of most business data. Specifically, re-thinking how we access, search and analyze it to boost productivity and enable better-decision-making. Cherniwchan’s commercial experience with machine learning harks back to one of his previous companies. As one of the co-founders of Circle Cardiovascular Imaging Inc, he worked with a highly talented team using machine learning and statistical techniques to help computers understand cardiovascular images and analyze what they saw. This led to the start-up of a new business. At first, the focus was on developing chatbots (a type of conversational interface for a system that conducts conversations with users by text or voice), but when carrying out user experience research to inform his business idea, a key finding was his potential customers needed a solution to help them quickly and easily access their business data, not something that provided friendly chats for their customers. What drew me to natural language processing is that it’s excessively difficult, but with difficulty there is opportunity as well. AI, at its best, empowers human workers by taking over the most time-consuming, manual aspects of their jobs, and freeing them up to use higher-value skills like selling new products, building relationships with customers, or creating operational efficiencies. The approach chata.ai has taken to overcome this difficulty is two-fold, first the company has created a scalable proprietary NLU (natural language understanding) engine that can rapidly train and customize user specific language models. Second, chata.ai can use this output to determine, on the fly, where to find and retrieve data for further processing. * Abstraction is a conceptual process where general rules and concepts are derived from the usage and classification of examples. There’s a higher degree of accuracy in this more specialized context, when someone types in a query the machine will translate it accurately. This is especially important when dealing with real-world business data. “With a lot of chatbots, very few have been able to have a good experience monetizing it” says Cherniwchan because what the usual experience is with NLU systems is responses such as “I don’t understand what you’re saying,” or “click here for help” or “can you please rephrase the question?” Users get frustrated and don’t want to use these systems any longer. With chata.ai, if the system doesn’t understand what you’re talking about, it’s going to use a portfolio of technologies to support the user with recommendations or targeted help. Overarchingly, chata.ai is designed to be easy-to-use, intuitive, accessible and fast. Today’s business owners are overwhelmed and need the ability to make faster, better decisions. And while they rely on data to understand their business, getting fast and easy answers from that data, says Cherniwchan, isn’t easy. 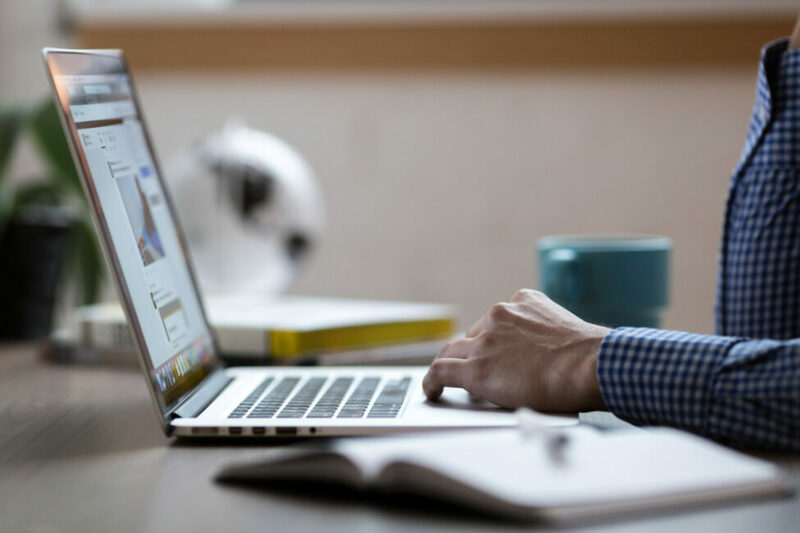 For example, say a business manager wants to understand how much they spent with a certain supplier in the past year for a presentation he or she is working on. The ‘traditional’ way of accessing and analyzing this data would be for the owner (or, more likely, his or her bookkeeper or accountant) to find the data on spending with suppliers in a spreadsheet, sort it for the specific supplier they are looking for and the specified timeframe, export it, create a brand-new table of data, hit charting function, create the chart, save it as a jpeg file and put it into a PowerPoint. With chata.ai, they could just ask: give me a bar chart of how much I spent with supplier xyz per month for the past year and boom the application would send back that bar chart in seconds. If it can take you five minutes or five seconds to do something, most people will take the five second option Cherniwchan contends. chata.ai’s pricing is consumable for everyday users, with the fee more than recovered by the potential time savings realized by using the application. The same need to be productive extends to accountants and bookkeepers: their workdays can be constantly interrupted by calls from their clients (how much did I send with supplier XYZ in the past month?) when what they should be doing is focusing more on higher value work, obtaining more clients and being more productive. As the interview concludes, Cherniwchan returns to his company’s office space across the hall—a space that used to be occupied by two oil and gas executives and now houses chata.ai’s entire team of fourteen employees. Always as ever, he’s maximizing value from what he has.